Found a deal online that is too good to be true? Well it probably isn’t, said the Singapore Police Force’s (SPF) latest campaign saw which saw the team staging a “con job” at Jurong Point mall. 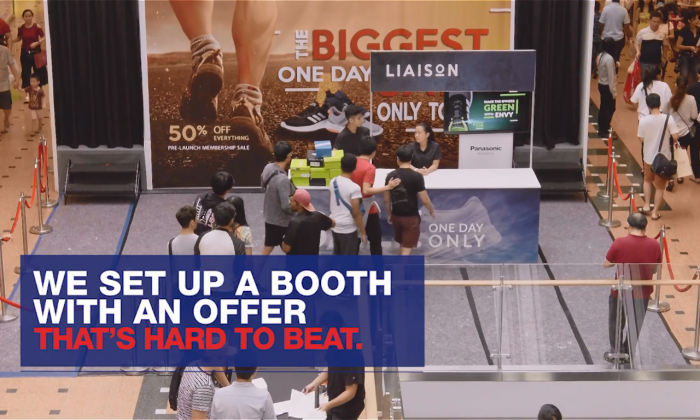 The campaign video released two days ago saw unsuspecting shoppers presented with “good deals” at a booth called “Liason”. After handing over their cash without much question to booth operators, the shoppers were brought to a dark room for a reveal that this was the modus operandi of many online scams by an SPF officer. The booth’s name “Liason” was also revealed to mean “Lie is on”. Since its posting on its Bukit Batok Neighbourhood Police Centre Facebook page, the video garnered over 85,000 views, 609 reactions and 777 shares at the time of writing. 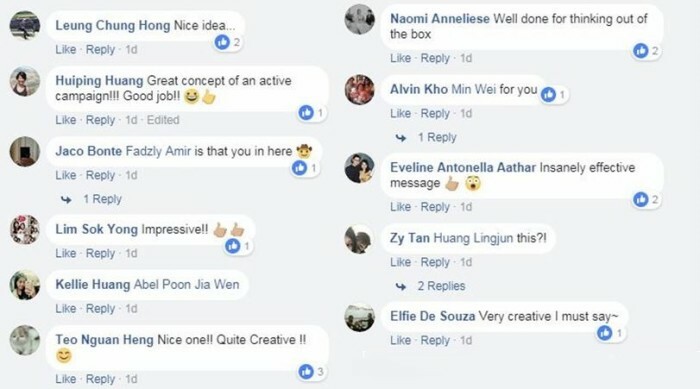 Netizen feedback was also positive, calling the campaign one which was “creative” and “insanely effective. Marketing has reached out to SPF for additional details. Most recently, the SPF was praised for another online campaign which saw it sprinkling some puns into its social media strategy – a move which stole the hearts of netizens. This was in line with Chinese New Year celebrations in a bid to discourage shop theft and pick pick pocketing. In March last year, together with the National Crime Prevention Council, the SPF also spoofed Mediacorp’s Star Awards in anti-scam spot produced in Chinese. The spot was about an awards show called Black Heart Awards which recognises the best scams conducted by nominees whose names played on Chinese translations. One month later, SPF showed its sassy side by taking a jab at a Criminal Minds episode which inaccurately depicted Singapore as a city with a hidden underworld scene. In its jab, SPF uploaded two pictures containing crime statistics which debunk claims of the show. Millenials and baby boomers are woefully underrepresented and even misrepresented in media and advertising, but boomers feel like .. This is in a bid to position Singapore as a global leader in AI technologies, which is anticipated to be a main growth engine of t..